Are you struggling to manifest a successful business? If so, you are definitely not alone. It doesn’t have to be so hard. You can make it easier by asking yourself these three questions. Question #1: Do you know what you desire? All desires are wants, but not all wants are desires. A desire is a want that is driven by something inside of you (inside your heart). Anything that is not a true desire is a wish. To answer this question, take out your list of what you want to manifest. If you don’t have one, make one. Once you have your list, go through each item one at a time and ask yourself if it’s a wish or a desire. For each item, ask yourself how much you really want it on a scale of 1.10. If it’s less than 7, it’s a wish. My list used to include, “Pay off mortgage by October.” But that was a wish, not a true desire. On the scale of 1..10, I was a 1. It was just a wish and not a very strong one at that. For the things that aren’t true desires, dig a little to find your inner motivation. Ask yourself why you want it. And why it’s important to you. Keep digging until you have your answer. When you find it, write it on your list. You may also discover you don’t want it, in which just cross it out or even replace it with something you do desire. In my case, I crossed off paying off my mortgage by October and added “pay the mortgage on time.” This might sound weird, but I felt relieved as soon as I did it. I didn’t need the extra pressure. Getting in touch with what you desire is more than just getting specific about what you want. It’s about reaching inside of yourself to get in touch with what motivates you to manifest. When you do that, taking action to manifest will get exponentially easier. Question #2: Have you really decided to go after what you want? If you aren’t 100 percent committed to manifesting what you desire, then you are going to struggle. The universe will keep you on the fence until you decide to get off. What are you ready to commit 100 percent of your efforts to in order to manifest it? This doesn’t have to be all-encompassing or include your entire business. In fact, some of the easiest things to manifest are simple. So maybe right now you want to figure out who you want to work with and why. When I started my business, I tried to commit to the whole thing. But honestly, all I wanted (my desire) was to start seeing clients. I was completely stuck until I started to focus on what I desired, rather than the big picture. That’s because the big picture was too scary for me to consider. Commit to what you truly desire and your business will progress. Finishing this first step will lead to the next. Your desires will change along the way. 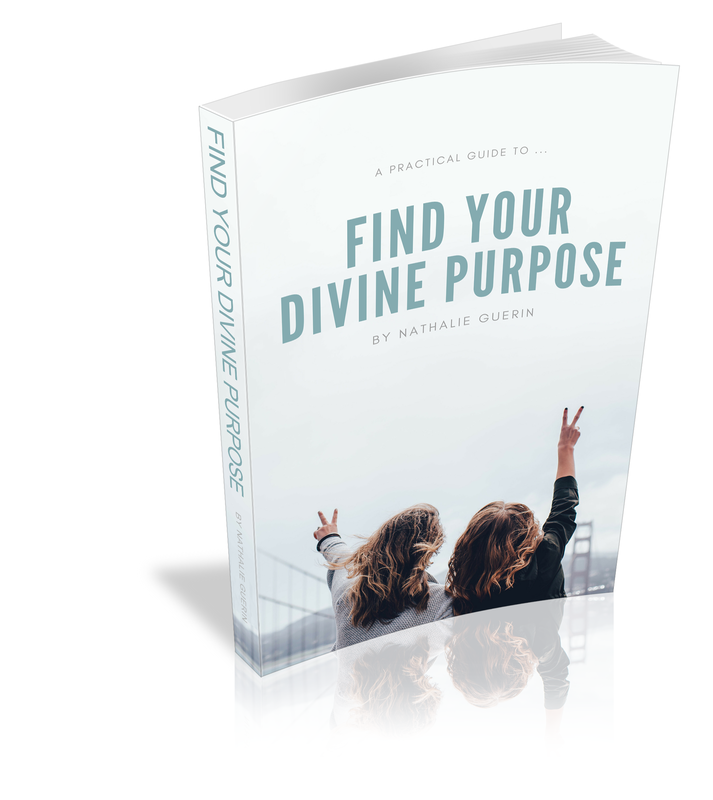 Question #3: Do you believe what you want is possible? If you don’t believe what you want is possible, then you are setting up yourself for failure. You might as well not attempt to manifest at all. I’m not saying to stop manifesting. I’m suggesting you work on believing and removing the doubt. It might not be completely possible for you to believe, but you can fake it. Start by getting in touch with the feeling. If you can feel something, you can believe it. The more you feel something, the more you vibrate at the frequency of what you want. Then you become a magnet for it. Try one of these methods to get in touch with the feelings. Visualize: Close your eyes and see it in your mind’s eye. Feel what it’s like during and after. If you can’t visualize, what if you could? Can’t feel, what if you could? It’s a game. Play the As-If Game: Live your life as if what you want is already yours. If you want to manifest abundance, start shopping in stores you think are only for the rich. If you want to be fully booked, start setting time aside for regular activities in your business, accounting, follow-ups, marketing. If you want to go on holiday, book time off in your calendar and start browsing the internet for vacation ideas. 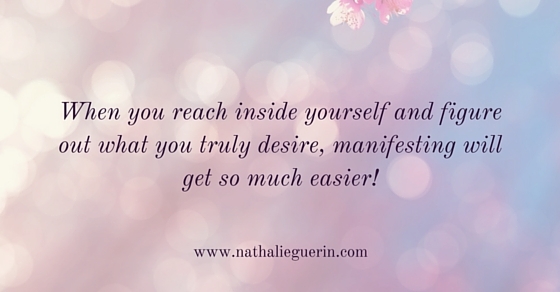 If you’re struggling to manifest, make sure you tap into your desire and then commit to the process. Before you start, make sure you work on believing.